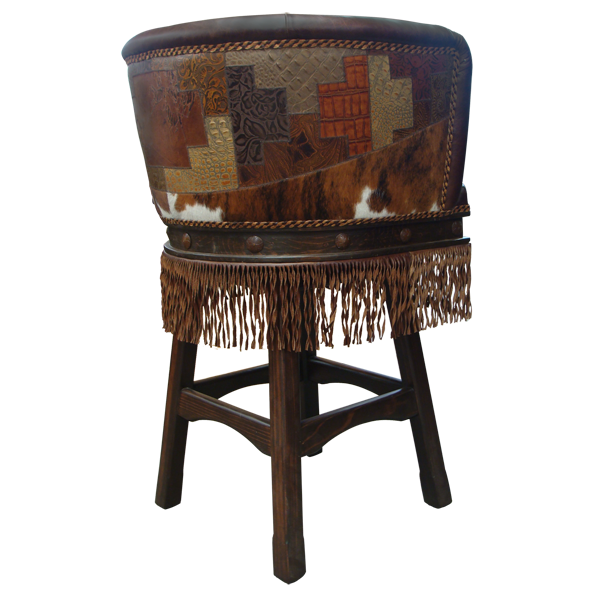 The upholstery of this Western style bar stool has a mosaic design created by mixing together various patterns of full grain leather. The pieces of full grain leather are double stitched together for strength and durability. 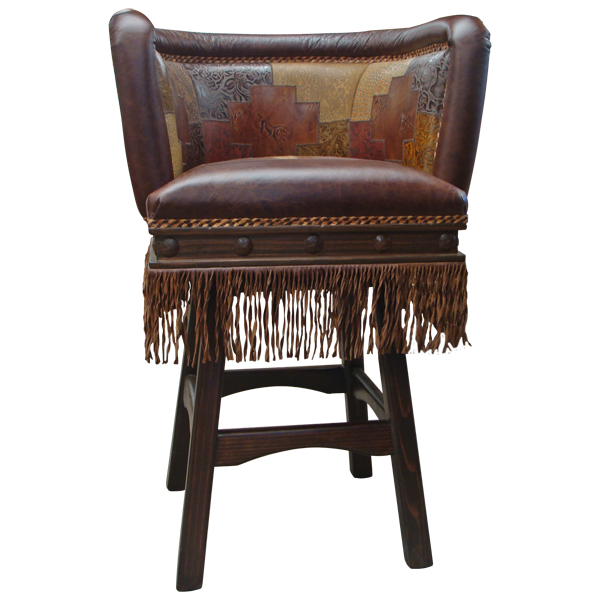 The inside seat back and the reverse set back are upholstered with mosaic patterned full grain leather, and the seat is upholstered with rich dark chocolate brown colored full grain leather. 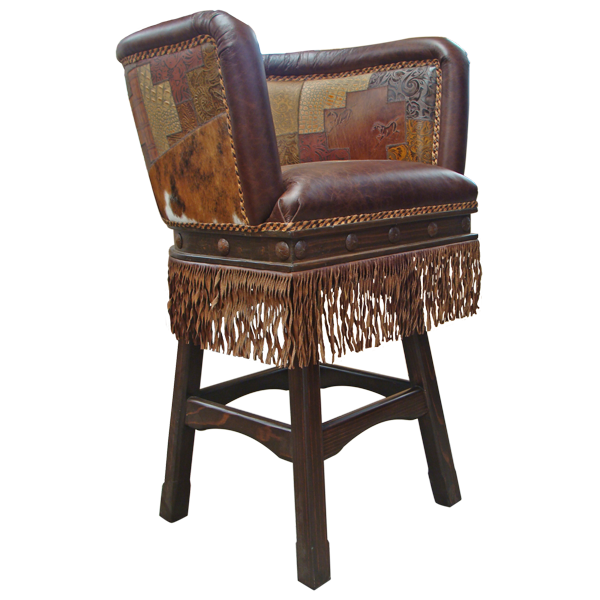 The Western design is continued in the bar stool with full grain leather fringe hand tacked around all sides of the base, and hand forged iron conchos on the lower part of the base. Other decorative features include ornate hand carved scrolling in the armrest and a brilliant spiral cord that divides the main body and the base. The bar stool is solidly built but also comfortable due to its horseshoe shape design The entire bar stool sits on splayed wood legs joined by a curved cut footrest box stretcher. The bar stool swivels 180° and is 100% customizable.